In a statement released today, Apple has announced it plans to build a new campus in the US as part of a five-year plan to invest $350 billion dollars in the country’s economy. According to the company, the new campus will be built at a different location, and not at its famed headquarters at Cupertino, California. The company, however, didn’t specify where exactly the new campus is likely to come up, only saying that it will announced at a later date. According to the statement, “The company plans to establish an Apple campus in a new location, which will initially house technical support for customers. The location of this new facility will be announced later in the year”. Apple also said that it will create create 20,000 new jobs in the country “through hiring at existing campuses and opening a new one”. 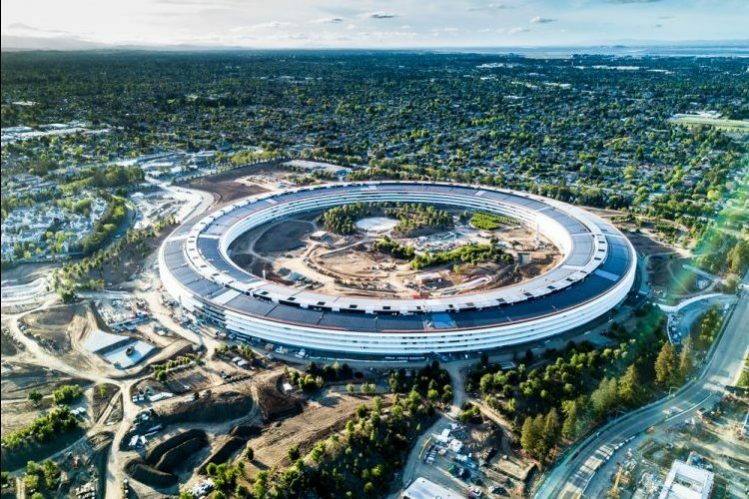 Apple currently employs about 84,000 people in the US, most of whom work out of the Cupertino headquarters, which now has a second campus – a giant, circular, metal-and-glass structure dubbed the Apple Park. Apple Park is almost fully completed with just a few minor construction and landscaping elements pending. The company also recently expanded its campus in Austin, Texas, where it now employs about 6,000 people, up from 2,100 seven years ago. Overall, the company says it will ‘contribute’ $350 billion to the US economy over the next five years, creating the aforementioned 20,000 jobs through direct employment, suppliers and app ecosystem. Of course, it isn’t just Apple that is splurging on flashy new campuses. Amazon is also looking to find itself a second campus in the US, and is expected to announce the location in the next few weeks.